The Automotive eXchange Platform is a decentralized automotive marketplace connecting automotive industry players and consumers through blockchain technology. Team looks to be well experienced. WP was well done and thought out. MVP looks good. Over all this could be a great project. Competition might be a problem, but currently they have a good vision in place. Solid project and a great plan ahead. Team, Vision and Product 100%. Very strong and experienced team and advisory board. In whitepaper each and every details is mentioned. Will waiting for alpha. Solid team and advisory board. Another ICOs already working in the field with almost the same concept. How are you going to reach the real target market? Thanks for the kind words! Automotive is a large space. It's to be expected that there will be several projects competing for market share. We think this is healthy for the ecosystem and we embrace it. We believe the unique qualities and capabilities of our team and platform, along with our vision for the product will differentiate us enough to reach our share of the target audience. We hope to earn your support moving forward. Having worked with and within the automotive industry for years I know the level of competition and "fear of change" the AXT-team will have to deal with. On top of that, local regulations for running and updating vehicle registers will be a beast to handle, when going global. That said, the team looks senior and well composed. DASHUB launched in 2015 and has been fairly successful since. Tokenization seems well thought through and an MVP is available. There is no doubt AXT is well positioned to do it. Trading vehicles on the blockchain is a great use-case for DLT overall. It enables a secure and immutable history to follow the vehicle, smart-contracts to handle ownership and low-fees on cross-border trades. The whitepaper is OK really need to do a better job explaining the tokens value appreciation. We need to know why we should choose to invest in this ICO? Simplify what's in it for the investor, short- and long term! As of now, the WP explains the token as a "security token" that may be useful for, at a later stage, buying automotive parts? Very unclear and rather confusing! As it is right now, it’s more of a fundraiser than actually providing a token that will be of value to the common investor. Also, doing this on Ethereum is a gamble, they should probably be very agnostic on technology when going mainnet with the platform. This is a massive scale project and very few would be able to undertake it on a global scale. Hopefully AXT will be able to. Thank you for this comment and your insight. It is my hope that you’ll read this review and reconsider your evaluation of our Vision and our Product. You’ve worked within automotive, so you see the vision. Our team is senior, as you pointed out. We start with our established business and then use our experience and connections to integrate into the automotive ecosystem at large (including the regulators and politics involved). We see the vision and understand the longplay required to make it successful. The product is being launched on Ethereum, but our mainnet will not be. In line with your suggestion, we are blockchain agnostic. Currently we’re looking at EOS, but that could change. We recently launched a new product line on DASHUB that will further expand the use case for AXT in the future. The product is there now and will only get better with AXT. Your thoughts on the White Paper and the token are valuable. We have since updated the White Paper and would love for you to take another look. If after this, and after you review the White Paper again, you still believe our Vision and Product are 3’s, perhaps we could have a private conversation. Thank you! DASHUB Launches - 100,000 Vehicles. DASHUB Makes NASCAR Debut at Daytona International Speedway. 200,000 Customers. DASHUB Partners with Diamond Warranty for Vehicle Service Contracts. DASHUB Launches Auto Financing Department. Minimum Viable Product & Smart Contract Creation. Launch ICO (Subject to market conditions). DASHUB dApp Launches on Ethereum with Implemented. Start Generating Revenue Through Blockchain Use Cases; PHASE 1. Start Generating Revenue Through Blockchain Use Cases; PHASE 2. 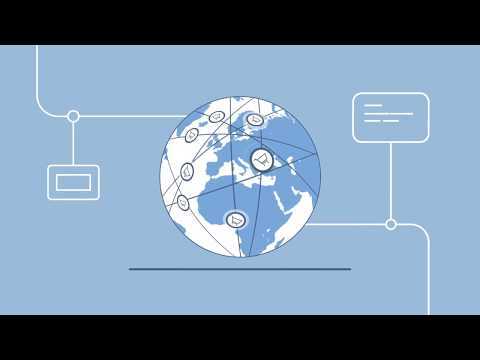 Contract Interface - Standardization with Partners. Platform in Production - Coin & Traffic Migration. Start Generating Revenue Through Blockchain Use Cases; PHASE 3. Start Generating Revenue Through Blockchain Use Cases; PHASE 4.